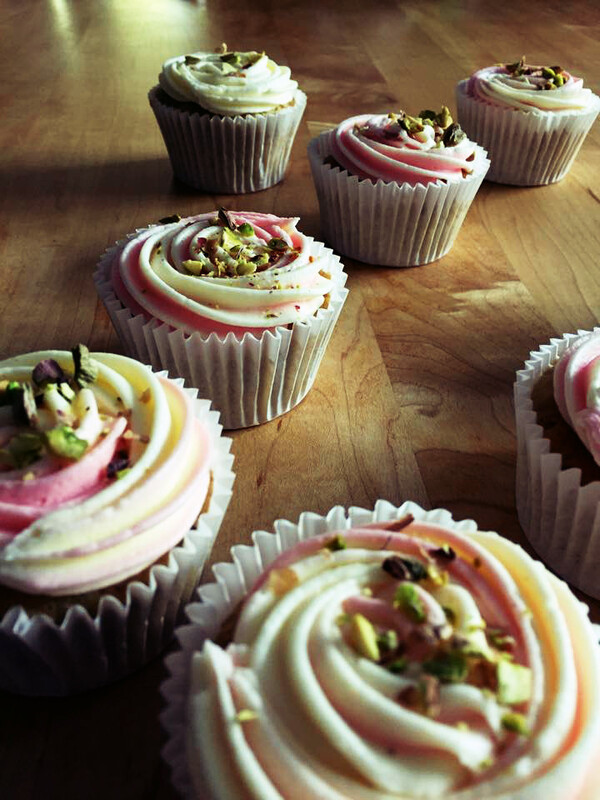 For these I made a pistachio flavoured sponge and a rosewater buttercream, finished with some crushed pistachios for decoration. On the whole these seemed to go down pretty well. They got an approving grunt from most of the family but at the same time they said that the flavours could have been a bit stronger. This is probably because, having never used rose as a flavour before, I was a bit paranoid about making my icing taste of bathwater. So as a result you can probably get away with adding a bit more. I would also maybe would leave some bigger chunks of pistachio in instead of grinding them as finely as I did. A lot of this, however, is up to you; as I said I pretty much wing a lot of things and you can always adjust things to your taste. Roughly 125g/ half a block of butter, slightly softened. Preheat oven to 180/ 160 fan/ 350F. Cream the margarine and the sugar together until smooth and pale in colour. Sieve the flour and the baking powder into a separate bowl. Whisk the eggs in another bowl and add both the egg and the flour alternately to the margarine and sugar mixture. It is best to do this gradually and carefully to stop the mixture from curdling or losing the air. 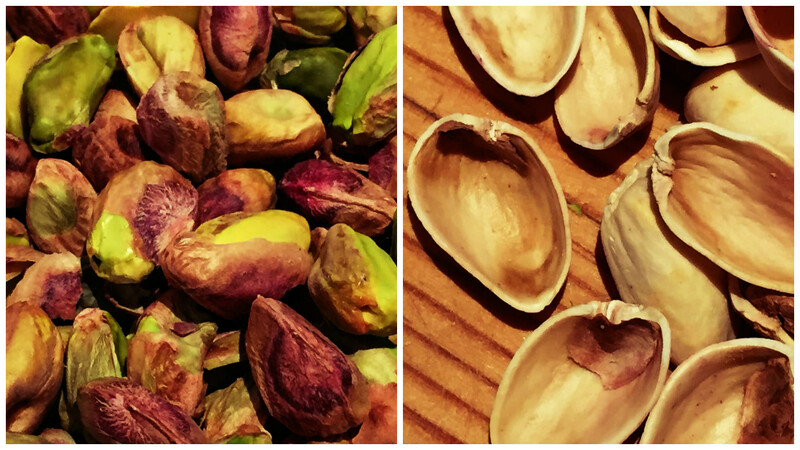 Finely chop the pistachios in a food processor and stir into the mixture. Spoon the mixture into cupcake cases and bake in the oven for 20-25 minutes. Leave to cool. To make the icing, you need to mix the butter, icing sugar (approx. 200g) and milk together. You can soften the butter either by taking it out of the fridge early or, if you have forgotten to do this, you can place it under a warm bowl for a few minutes. You then gradually mix this with the icing sugar and the milk. It is best to start with a splash of milk and a generous amount of icing sugar and then mix these with an electric whisk if you have one. This will help make the icing fluffier and smoother. Once you are happy with the icing, you can then either add more milk to change the consistency or more icing sugar to alter the taste and make it sweeter. Chances are you will need a lot of icing sugar, so make sure you have plenty. When you have your basic buttercream tasting how you want, you can then begin to add the rosewater. I added roughly a teaspoon, but again this is just a guideline. Pipe the icing onto the cupcakes. Chances are if you aren’t piping you won’t need quite as much icing so you can start with less butter and reduce the other ingredients accordingly. For the piping, I dyed half the icing a light pink and filled one half of the piping bag with this icing and the other with the original. Using a star nozzle I then, starting from the inside of the cupcake, piping a swirl outwards in order to create a rose effect. When finished, sprinkle with crushed pistachio kernels or any other decorations you like. If you fancy making them extra special, crystallised rose petals would go really well and help boost that rose water flavour.